Aam Menu at Imperfecto, HKV - CHOMP! SLURRP! BURP! 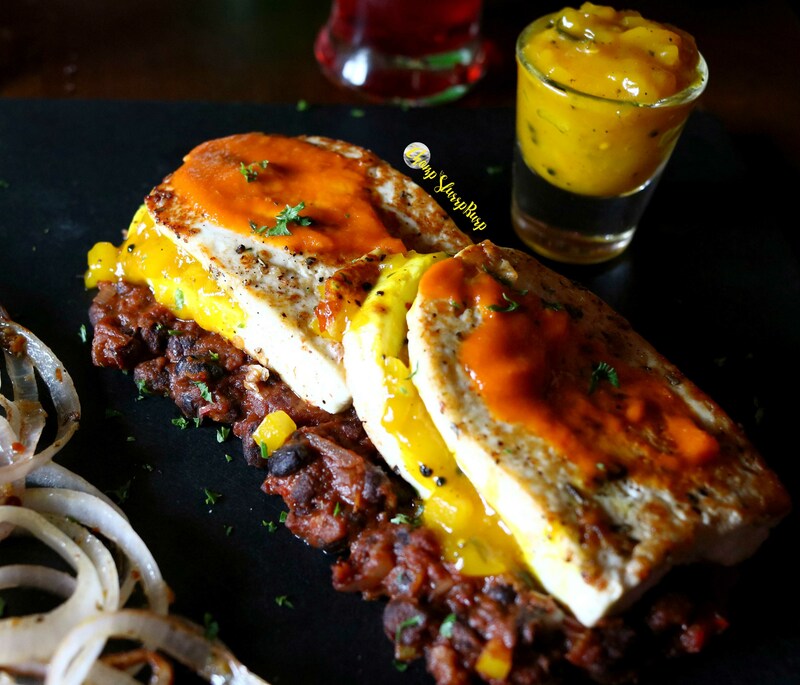 As soon as you enter HKV, Imperfecto is right in front taunting you with all its offers, a quirky ambience, a flight of stairs reaches to this mystical place at such a prime location in HKV. Imperfecto gave me another reason to visit this time, the summer mango menu or the Aam Menu, While summers are hated by some, mangoes aren’t, half the people look forward to summers only because of this sweet fruit. So this menu was all about mangoes, the infusion of mangoes sounded crazy in some preparations but was very toothsome. 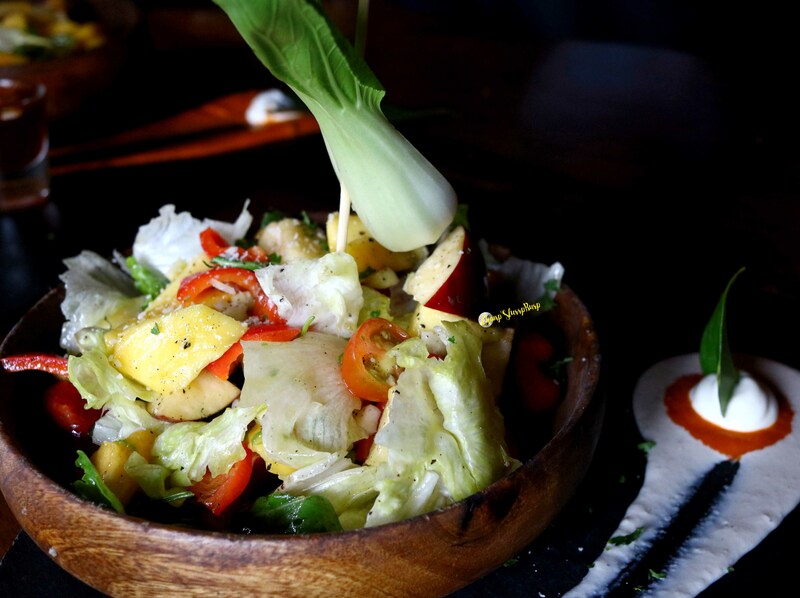 We started off with 2 delicious salads, Alphonso Mango Salad and the Street Cart Mango Salad. 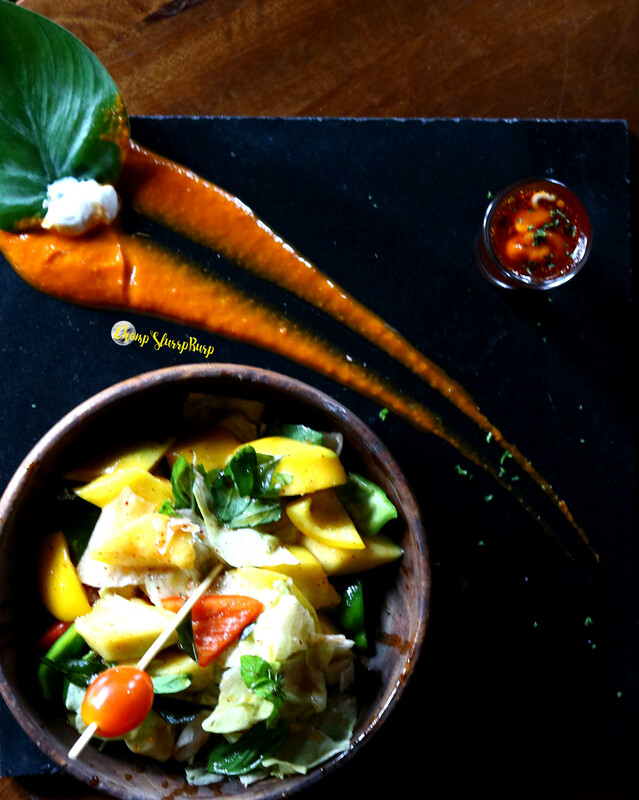 The Alphonso Mango salad has crunchy lettuce bellpepper and was topped with a sweet chili dressing, the uniform taste of the sweet mangoes and the crunch with lettuce along with the spicy chilli were perfect trio of flavors in the salad! The Street cart mango salad had baby tomatoes, lettuce a garnish of feta and a tangy dressing but out of these two the mango salad was loved to the core! 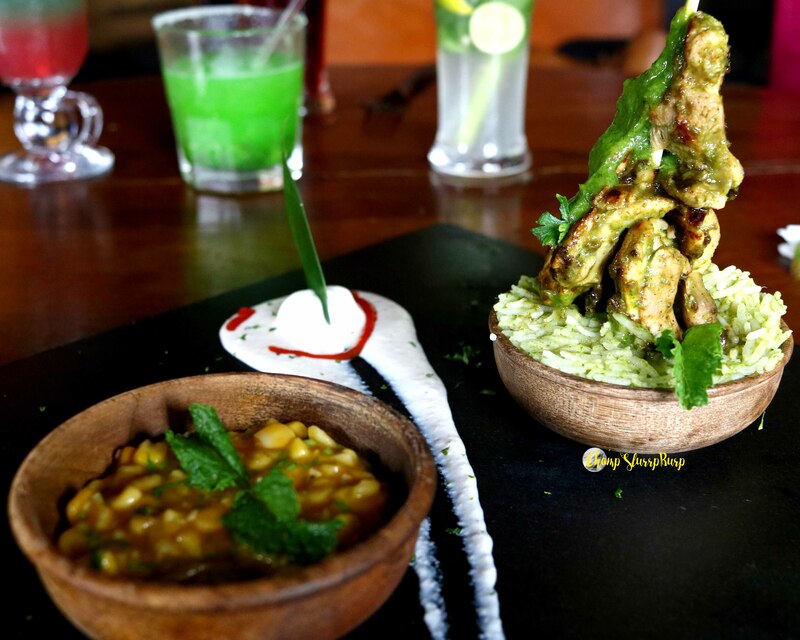 Then was the turn of funky mango fusions, Mango Chicken Tikka, Ghilled Chicken with mint sauce and Stuffed Cottage cheese with mango. 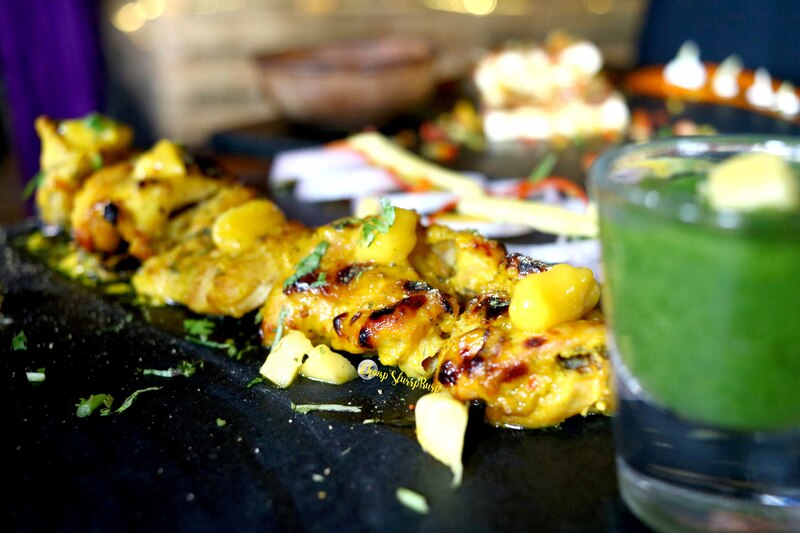 The mango chicken tikka was something which sounded odd at first, but the a blob of the puree on the chicken tikka added a whole new dimension to the otherwise succulent tikka. The grilled chicken with mint chutney was a bust though, served with mango salsa and rice the flavors of chicken on skewers with mint dressing weren’t strong enough to even balance out the tangy salsa. The Cottage cheese on the other hand was out of this world, really soft pieces of paneer stuffed with mango on a bed of kidney beans, it was served with fried onions and this entire preparation was heavenly. Then was the turn of the mains, Malaysian Style Mango Chicken noodles, a hearty preparation of tangy noodles with long cut pieces of mango. Wok Tossed and having Asian greens and bellepeppers there were definitely a good experiment, though I wouldn’t recommend them. The Asian Style Veg noodles were slightly better and had the full flavors of the mango coming along with the spices. 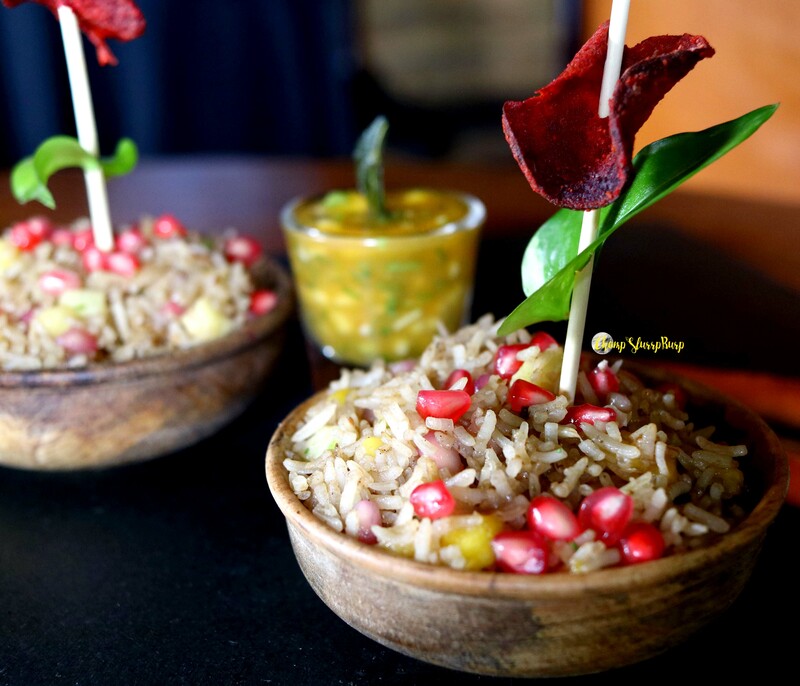 The rice preparations on the other hand weren’t that good, the combination of pomegranate and mango was good enough but the flavors with rice weren’t that appetizing, the mango salsa added a punch to it but overall the dish was too much a mix of flavors. While mangoes are loved by all, many wouldn’t appreciate so many flavors intermingling with each other, I do recommend this special menu because the appetizers and salads are so worth it, especially alphonso mango salad, chicken tikka and stuffed cottage cheese.